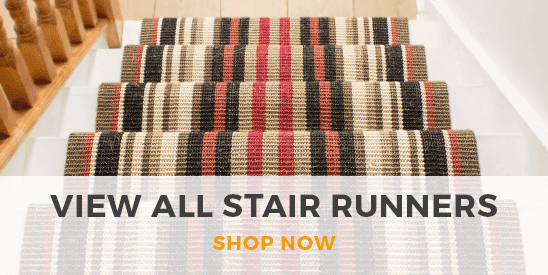 This stair carpet runner is made using a flatweave technique and is made for maximum durability. A flatweave is more commonly known as a basketweave. Traditionally, flatweave carpets are made using a natural fibre such as Sisal or Wool. This particular stair carpet is made using 100% sisal. Sisal is one of, if not the toughest, natural fibre that exists in carpets. The fibre comes from the 'agave sisalana' cactus plant and these are typically found in Africa and Brazil. The pile of this carpet runner is extremely durable and will not flatten down as there is no pile to do so. Due to the cleverly woven construction of this pile, it is great for pets and pretty much indestructible. 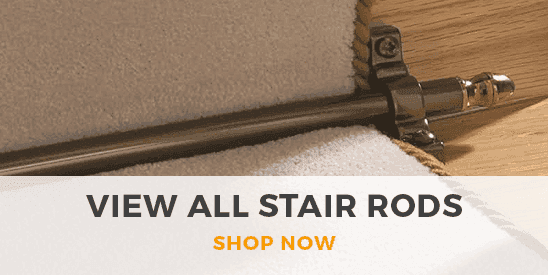 It has been classified as a heavy domestic product, this means that it is suitable for high traffic areas in all domestic locations, especially the staircase. This stair runner has a latex, gel backing. This means that the carpet runner is non-slip and will not move on hard floorings such as Wood, Vinyl or Ceramic Tiles. It is also anti-slip on carpet but the effectiveness depends on the thickness of the carpet it is sat on. The thicker the carpet, the less effective it will be. Whilst being non-slip, the backing is also 100% waterproof and rot proof. This ensures that the carpet will not shrink or wrinkle once it dries out from being wet. The texture of this carpet is fairly coarse, it is firm feel and offers little comfort. This product is not made to be luxurious, it is made to be very durable and practical. This is the most durable naturally made gel back runner that we sell at Carpet Runners. If you want an extremely low maintenance product that will look great and will last for many years then this is the product for you. How much carpet do I need? All you need to do is measure from the top of the stairs, along with each tread and riser, right down to the bottom of the stairs. Then to make sure that you have enough, add 10%. On average, each step is about 1ft 6in (45cm), so if you had 13 steps, then it would be 13 x 1ft 6in (45cm) = 19ft 6in (585cm), then add 10% to this and you would need to order 21ft (650cm). If you would like some help calculating what you need then please get in touch with us.